Insta360 One X HDR video tripod required? Before the Insta360 One X, there had been a few cameras with a so-called HDR video mode, but it appeared that all they did was to change the tone curve to reveal a bit more detail in the shadows or highlights. The Insta360 One X is the first 360 camera with a true multiexposure HDR Video mode. It has a special Sony sensor that can increase dynamic range by taking two exposures for each frame of the video. Insta360 has said that the HDR Video mode is only for use while the camera is not moving. “The ONE X is the first action camera to support HDR video, designed for stationary use.” This admonition seems to make intuitive sense — if the sensor is taking two exposures, there could be a time difference between the two exposures, which would be noticeable as ghosting if the camera is moving. 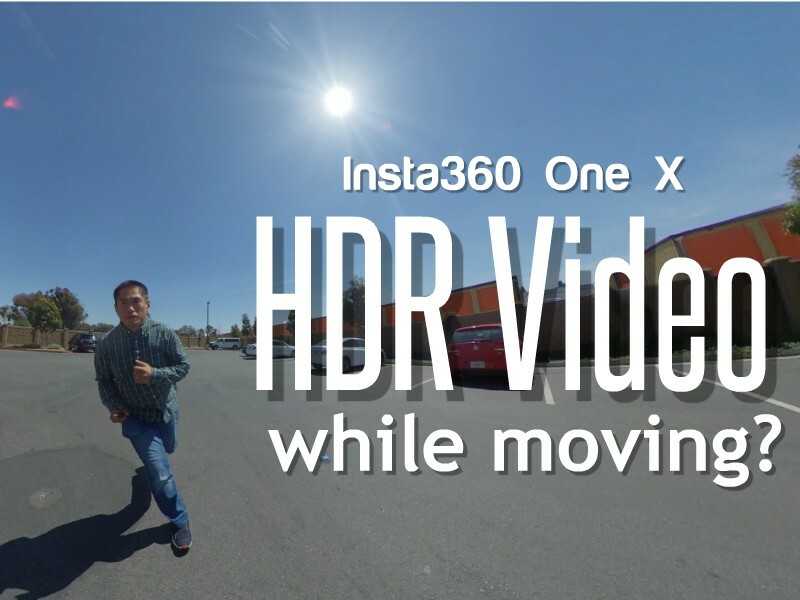 From this 360 video, I see no evidence of ghosting, whether I was jogging, jumping or spinning the camera around. (If you see any ghosting, please let me know in the comments.) From this test, it appears that notwithstanding Insta360’s admonition, you CAN use HDR Video mode while moving the camera with no ghosting or unusual artifacts when there is adequate light. When should you not use HDR Video mode? Does that mean you should use the HDR Video mode all the time? Not necessarily. HDR Video does have a drawback: it is slightly less detailed than the regular video mode. Here is a side by side comparison with another Insta360 camera with HDR video mode, the Insta360 EVO, in standard mode and HDR mode. Although the HDR video mode has far greater dynamic range, it has a bit less detail (see the gridlines of the fence around the court). 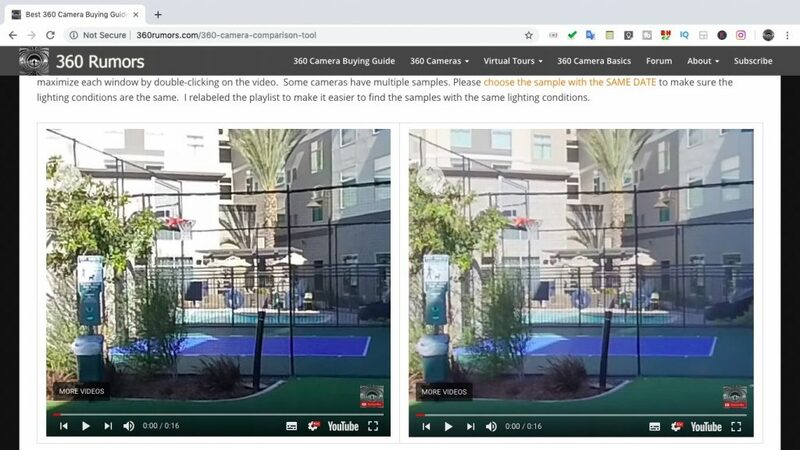 Because HDR Video mode appears to be less detailed, I would not use it when the additional highlight range would not be useful, such as in a low dynamic range scene (e.g. overcast day), or in low light. Speaking of low light, the Insta360 One X will default to a slow shutter speed, which would result in motion blur from camera movement. In addition to avoiding HDR video mode in low light, I would also recommend either putting the One X on a tripod (to avoid camera movement) or to use a higher shutter speed (in manual exposure mode, or by turning on the Shutter: Fast option in the menus). This is really useful, thanks Mic.